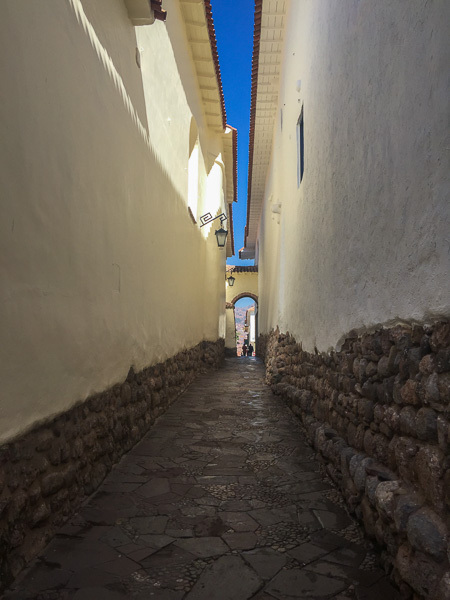 Inca Life (Part 1): Exploring Cusco and Surroundings — 2checkingout | travel and adventure | Inspiring. Capturing. Experiencing. 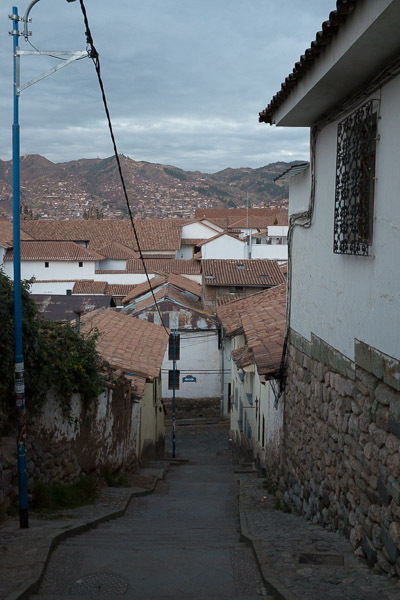 We woke at 5.00am to find ourselves parked outside the old part of the Inca capital Cusco. The Bolivia Hop bus had miraculously turned into the Peru Hop bus at the border. Same company, same excellent service, just differently coloured buses. 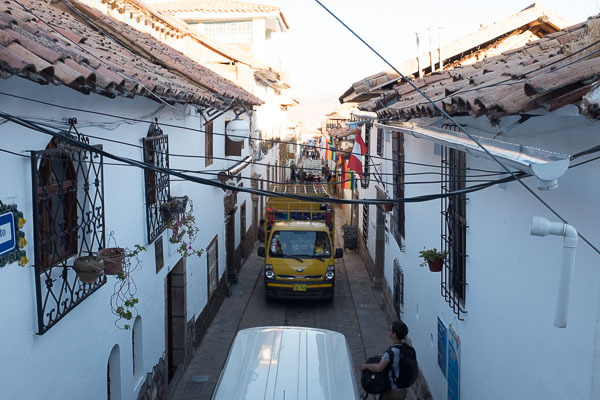 Large buses and lorries are banned from entering Cusco town. So the Peru Hop guys had arranged taxis to ferry us to our hostel. 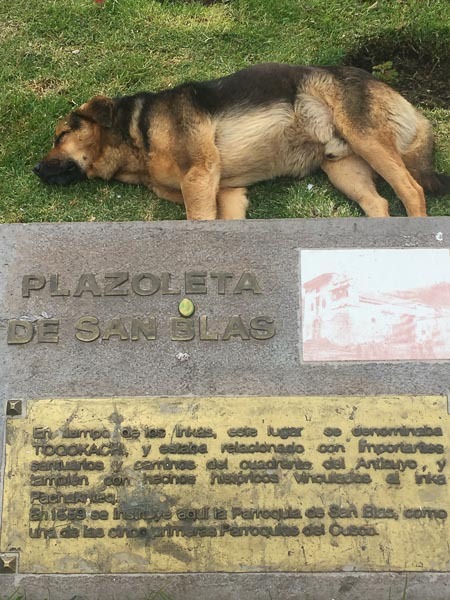 We stayed in an older part of the old town called San Blas. Narrow one-way streets with a neat square and imposing looking church. The taxi driver found the road OK but couldn't locate our hostel. Turned out the numbering system in the street was a little haywire. After an early morning grumbles with each other and feeding a pay phone without hitting the jackpot, we eventually found our hostel. Hostel El Grial was at the opposite end of the street to where it should be. Who has 110, 114, 116 at one end of the street and 112 at the complete opposite? 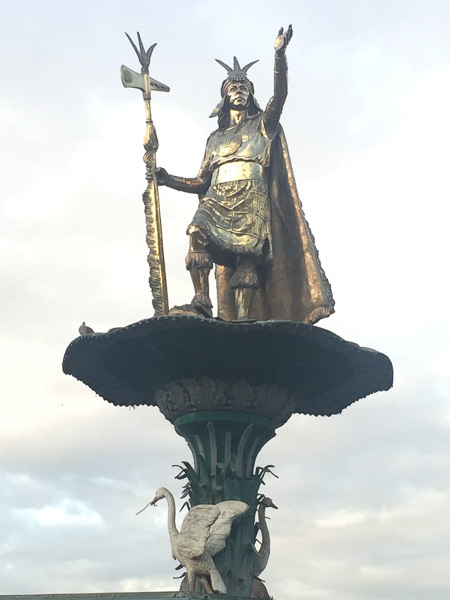 The modern street designers could take a lesson or two from the Incas. 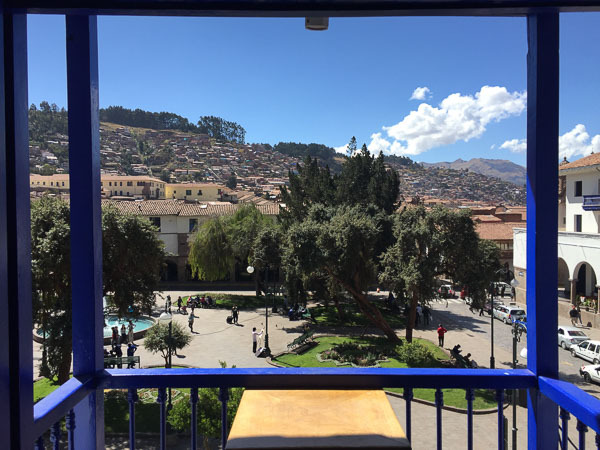 Much of the accommodation in Cusco is pricy. Even private rooms in some of the more basic hostels are NZ$50-$60 per night. The price you pay for stopping off in the busiest city in Peru. El Grial was a great little find. Run by some friendly hosts and came with the hottest most powerful shower we had had in months. 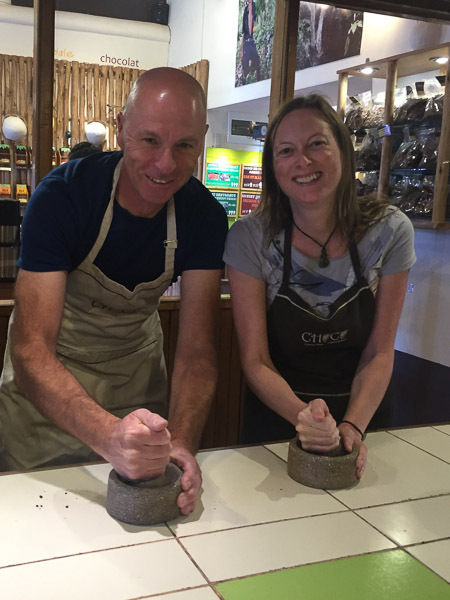 We had a few days to explore the city and surrounding area before our two-day hike to Machu Picchu. We made the most of the fantastic hot weather by hanging out on balconies drinking beer and watching the world go by. 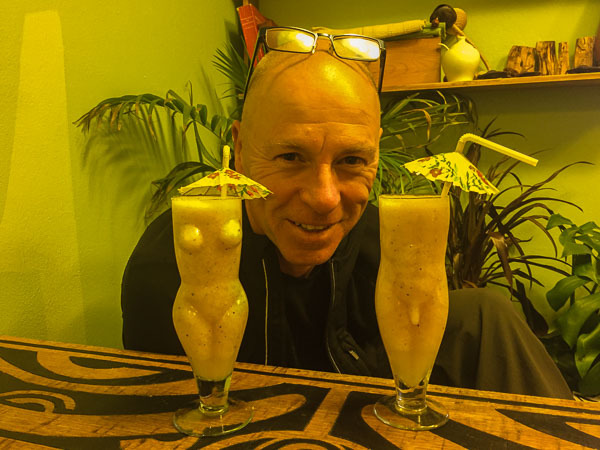 Then in the evenings, we would seek out bars around our hostel serving happy hour '2 for 1' pisco sours. Between we explored this beautiful city. Just down the road from the hostel was a great food find, the Green Point Vegan Restaurant. A three-course lunch, with salad bar, and juice only NZ$6 each. The tasty menu changed daily, and we were frequent visitors. Opposite Green Point is the Yoga Room. 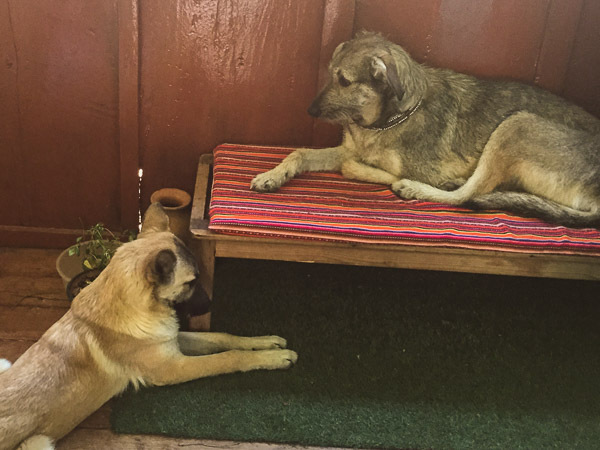 Julie's first yoga class came with two canine participants. Her second class entirely in Spanish, all those lessons did come in handy. Just next door to the hostel is La Boheme serving the most amazing crepes filled with salted caramel ice cream. Washed down with an NZ$3.50 glass of yummy red wine. Yep, you guessed it we went back on several occasions. 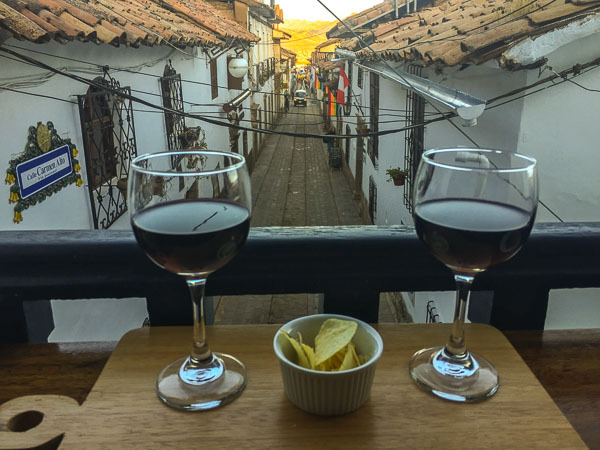 To get the best value for money, we purchased a Cusco Tourist Ticket. This passport style ticket covers entry to several museums and historical sites in and around Cusco. The museums are a bit hit and miss. 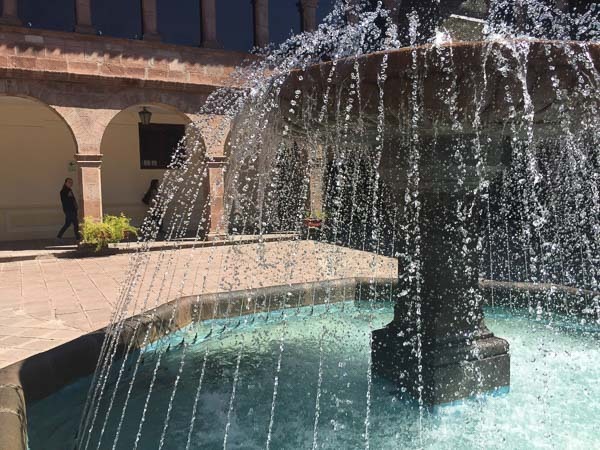 The Museo Historical Regional is a beautiful building with some cool exhibits. The Museo de Arte Contemporaneo is a dive. Best avoided; use the time to find a bar serving pisco sours. Even worse is Museo de Arte Popular. This one comes complete with rude staff and is the basement room of an office block. 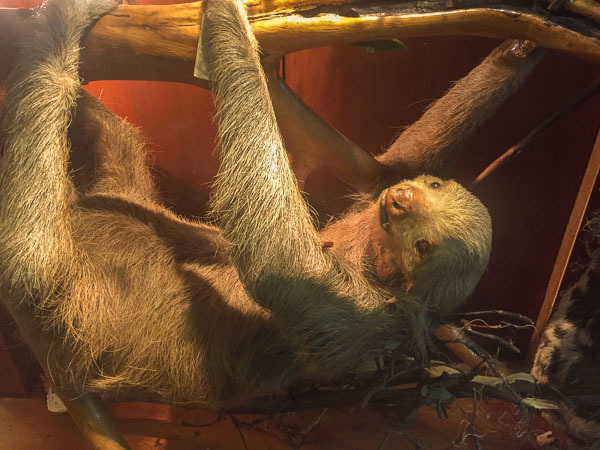 The Museo de Historia Natural is not included with the Tourist Ticket but was only NZ$1.50 entrance fee. In the back of a splendid building on the main square, some ancient stuffed animals needing a good dust. Great for the inner kid but don't expect to take longer than 10 minutes. Also not on the Tourist Ticket is Qorikancha. 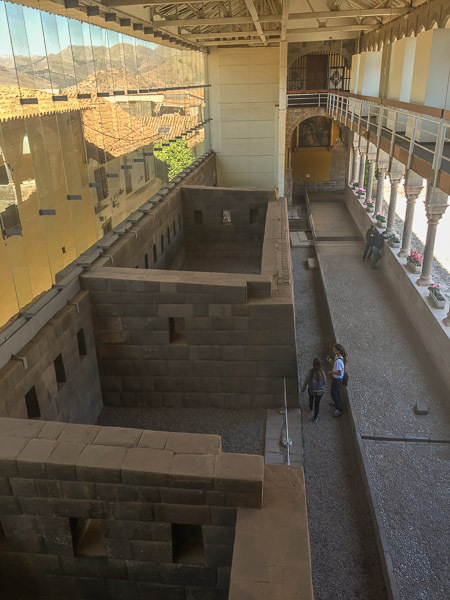 A stunning looking building, which was the Inca sun temple and was the most important temple in the Inca world. The temple floors and walls were once covered in gold. 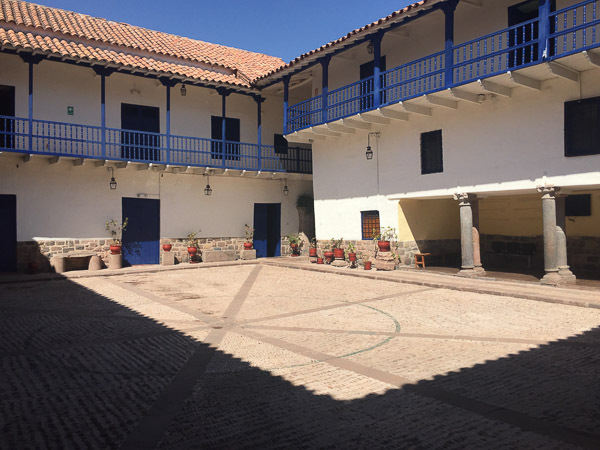 The Spanish built the Convento de Santo Domingo del Cusco on the foundations of Qorikancha. 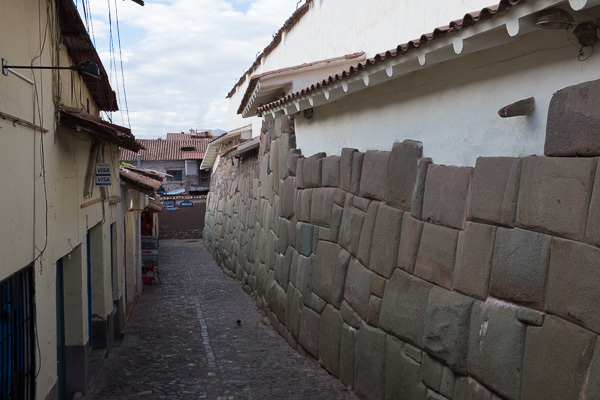 The blend of the two buildings is one of the highlights of Cusco. Following our visit, we found the highly rated Sharman Restaurant. A raw vegan cafe with an incredibly rude waitress and disappointing food that was twice the price of Green Point. So much for the rave reviews! Qorikancha gardens a great place to chill and relax in the middle of the city. 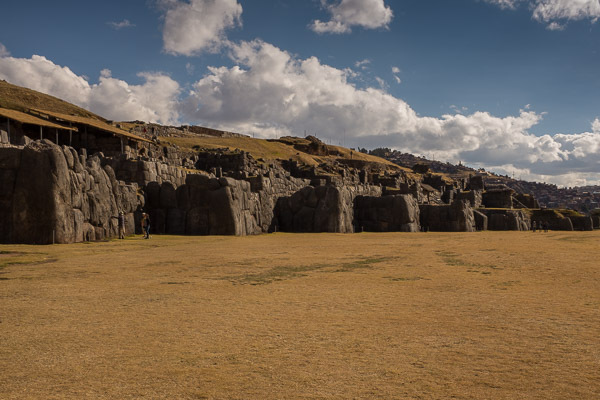 Taking a left turn out of our hostel and following the route uphill for 30 minutes you come across Saqsayhuaman. 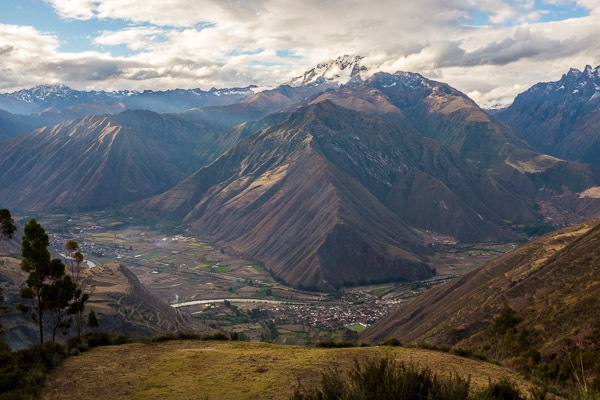 A vast Inca fortress that was the last foothold against the conquering Spanish in 1536. This site is the size of a dozen football pitches and has been very well preserved. The zigzag main wall stretches for over 400 metres. The largest stone weighing over 300 tonnes and dragged by thousands of workers. Designed in such a way that the flanks of an attacking force would always be exposed. Clever buggers those Inca folk. Further down the road is Q'engo. An Inca rock worship site. To round out our cultural afternoon, we stopped at Cristo Blanco, the statue of Christ overlooking Cusco. 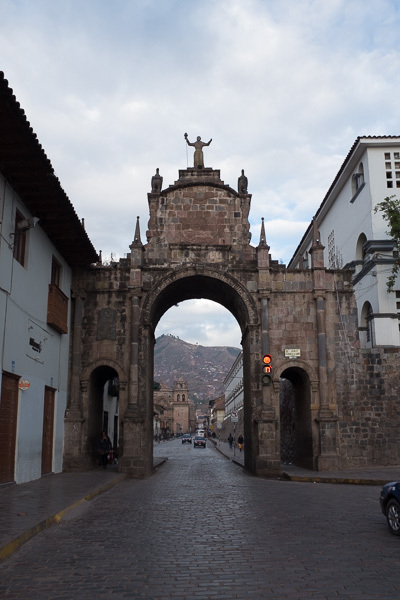 The Incas designed the city in the shape of a puma’s head, and from here you can almost make it out. 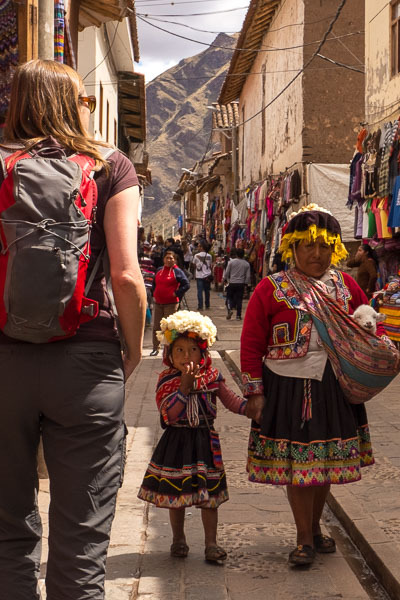 We booked a one day tour through the nearby Sacred Valley with Orellano Tours. The day started in chaos as the bus was late and when one did turn up, it was too small for the group. Then given the ban on large buses we stopped and changed again just outside the old town. These guys do this every day of the week all year-round but still couldn't organise a pub crawl in a brewery. When we did get underway, it turned out to be an informative, enjoyable day, albeit a little long. Our guide Marco had a great (sarcastic) British sense of humour. After a pee break at a tacky tourist truck stop that came complete with petting llamas, we made our way to the Sacred Valley. 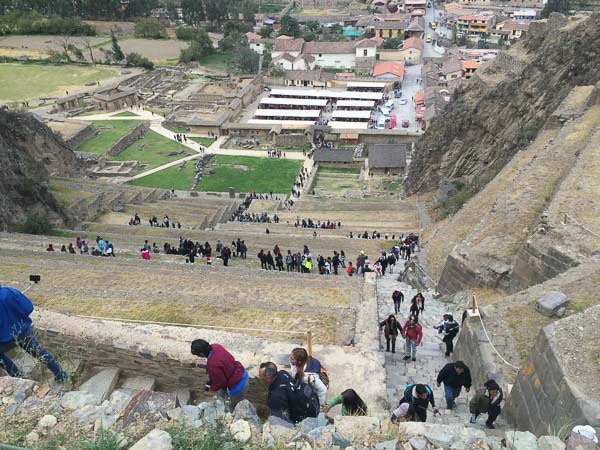 The first stop was the Pisac ruined citadel. Sitting at the entrance to the valley this impressive Inca site looks down onto the town of Pisac. 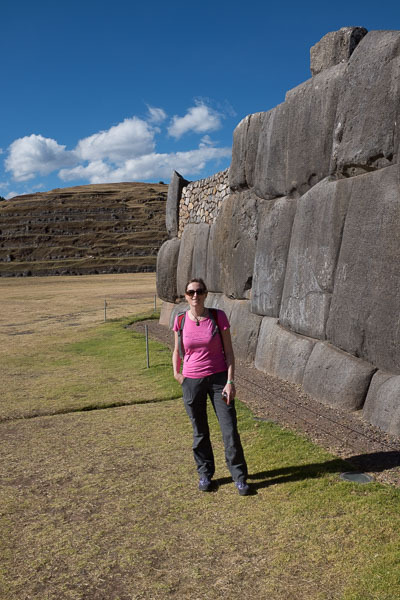 Carved into the cliff face are hundreds of holes, tombs for the Inca elite. Raided by those pesky Spanish for the gold and artefacts buried alongside the dead. The terraces carved into the mountainside offered rich fertile food growing areas. The equivalent of the British allotment, these terraces contain four layers of stone and soil, brought from multiple locations. Underneath an irrigation system that allows some of the terraces to be still used today. Very clever those Inca fellows. 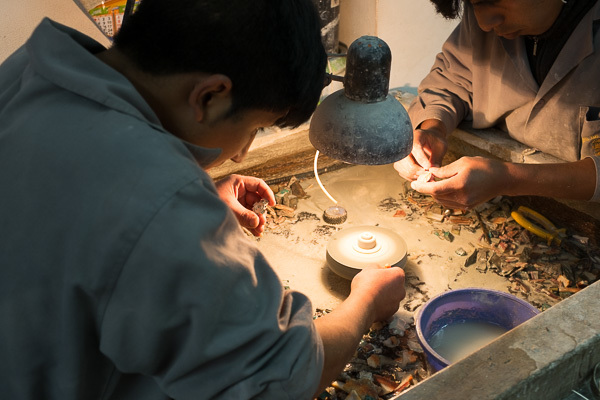 Down in the town of Pisac, we stopped off at a silversmith. We were shown an award-winning silver sculpture and given the opportunity to see silversmiths at work. There is also a large market catering for most tourist needs. Julie bought a scarf but when we tried to haggle we were met with blank expressions. I guess the ticket price is the price. 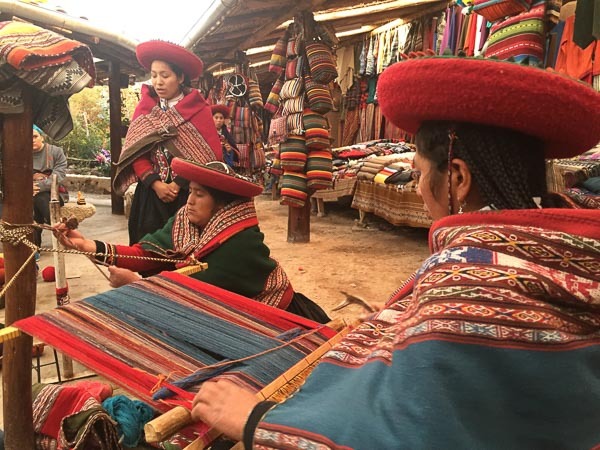 traditional dress v travelling dress, Pisac market. 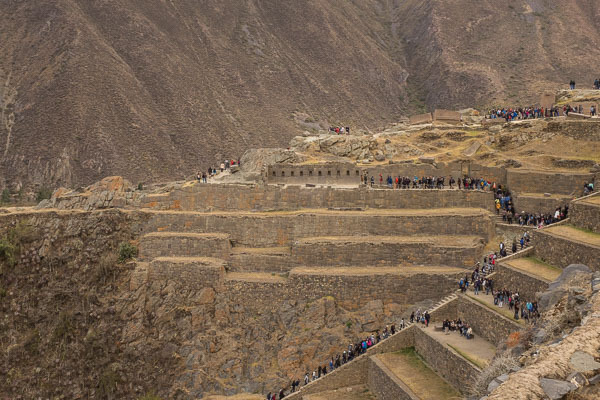 The next major stop was at Ollantaytambo. 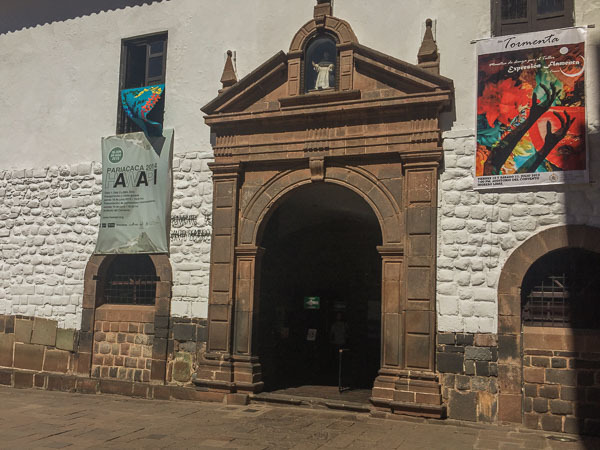 The kickoff point for the popular four-day Inca Trail, as well as the central railway station for those less inclined to hike to Machu Picchu. Ollantaytambo is a pretty little town with cobbled streets. We climbed the 400 odd steps with farming terraces either side. Food storage areas sat high on the opposite cliff face. Food was stored high for three main reasons. The temperature at this height was ideal for preserving food. It avoided the floods that swept the valley regularly. And finally, it provided excellent security. 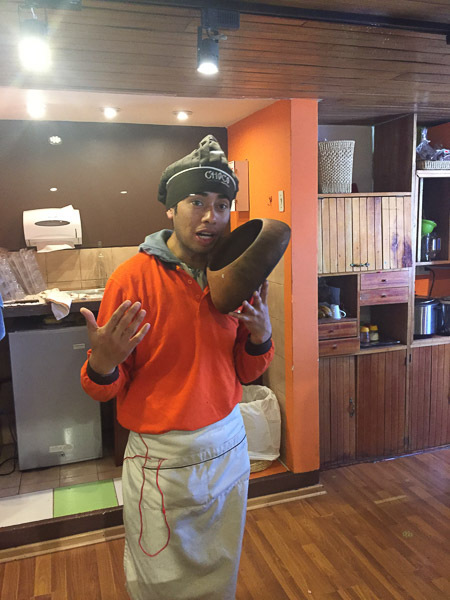 Did we say those Inca fellows were quite smart? There is an unfinished temple at the top of the ruins (thanks again Spain!). The temple stones, some weighing as much as 90 tonnes, were hauled 12 kilometres from the other side of a nearby mountain range. The modern-day villagers, all 1,540 of them, proved this could be done, twice in fact. It took two and half months working 4-6 hours per day using the same tools that the Incas had. I'm pretty sure the Incas would have worked longer than 6 hours a day and wouldn't have stopped for morning tea. Certainly, not slackers those Inca boys and girls. On the route back to Cusco we stopped at a more recent Inca discovery, Chinchero. It's here that we visited a weaving centre. 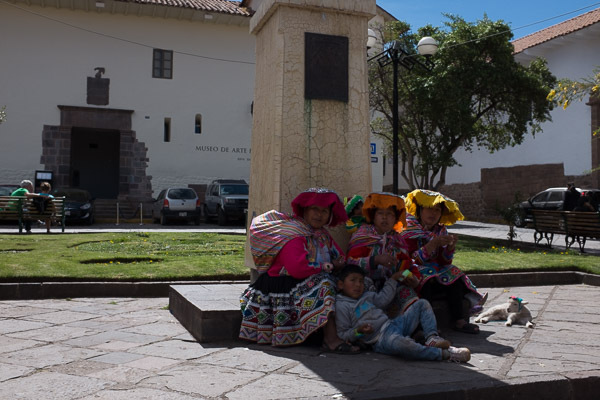 Family groups that are direct descendants of the Inca have co-oped together to maintain this wonderful tradition. They create some fabulous items that are available to purchase. What was quite amusing was the little cage under the fire that contained several dozen nervous looking guinea pigs. The answer is no; we didn't get to taste guinea pig. Although one town we drove through had ladies standing on the road waving large sticks with roasted guinea pig impaled on them. Despite the dodgy start this was a great day trip through a valley rich in Inca history. A long day but well worth the money. 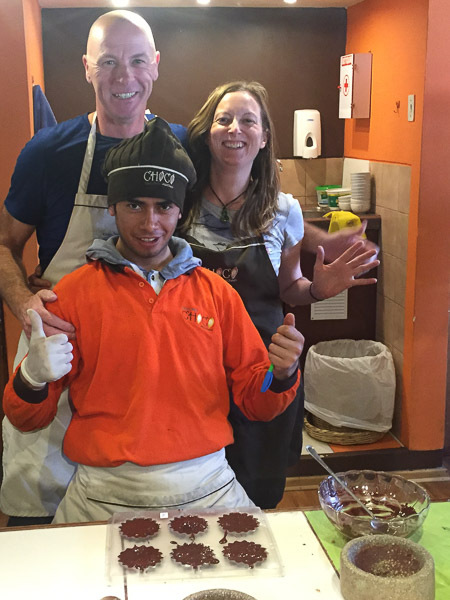 On our return to Cusco, we tried the Moreno Peruvian Cafe. It’s here that Julie tried Inca Kola, which can only be described as sickly thick cough syrup. The kind that Mum forced down your throat at the first sign of a cold. You know the one that had been in the cupboard for at least five years, and the use by date had long gone under a sticky mess. We washed away this disgusting goo with wine and a dessert crepe at La Boheme. Yes it tastes as bad as it looks. 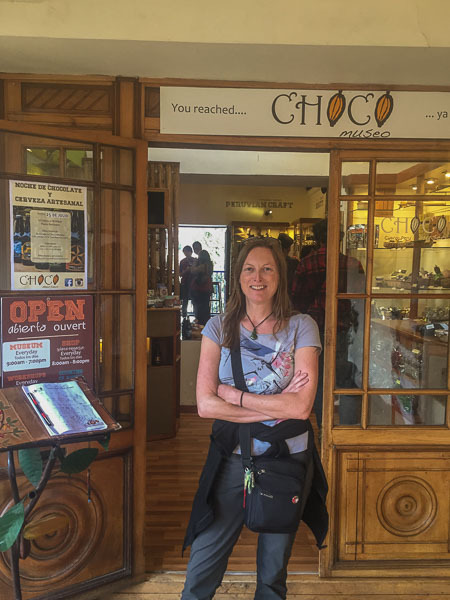 A must do when in Cusco is chocolate making at Choco Museo. 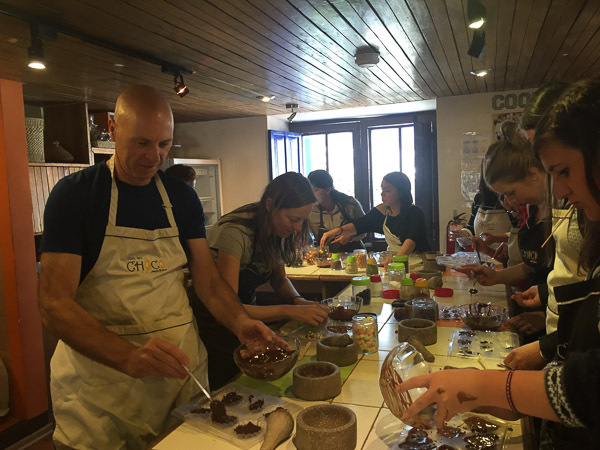 An enjoyable morning that provided a great insight into the many uses of the cocoa bean and the local cocoa industry. Surprisingly singing and dancing from all the participants was a requirement. The instructor for the morning a fun loving guy with a smile that stretched from ear to ear. At the end, we left with a bag full of chocolates that we had created ourselves. 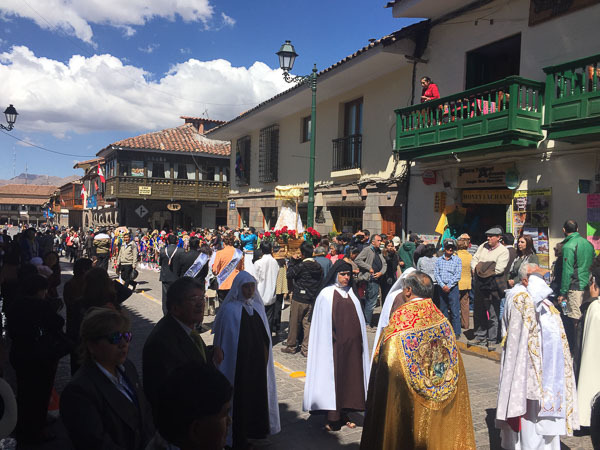 After a great introduction to Cusco, we were excited for the main event. Next stop Machu Picchu.